Hello again world! It’s been a long two months since TheFatNurse last posted due to busy events in TheFatNurse’s life. However, since that time, TheFatNurse finally had the lecture on lipids and heart disease in TheFatNurse’s nursing school. It had it’s highs, lows and also a few surprises as well. This post should offer you some insights into some of the formal education that some health care professionals may receive regarding lipids. The lecture began with a quick overview of lipids. Specifically, the instructor explained that cholesterol was “made in the liver” and “absorbed in the gut.” This is only somewhat true; while the liver is most known for cholesterol synthesis, cholesterol is also made de novo in extrahepatic cells (made outside the liver) where it is often trafficked in pathways that cross/involve the liver. The instructor also commented about cholesterol being absorbed in the gut…but did not make it clear where that cholesterol came from and could make one think he was referring to dietary cholesterol. However, most of the cholesterol that is absorbed in our gut is actually biliary in origin rather than diet. Click here for a review about the history of lipoproteins & cholesterol! 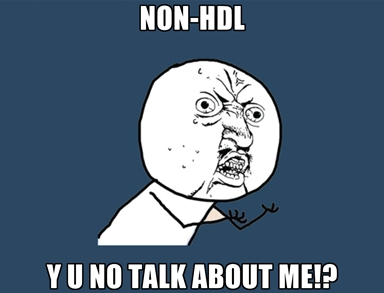 Click here for a review on what HDL and Triglycerides Do! If you’re craving more in depth details then I would highly recommend reading Dr. Dayspring’s “Lipid and Lipoprotein Basics”  which contains not only a comprehensive overview of all the dynamic relationships involving everything lipid but also helpful diagrams that help visualize the whole process. The biggest critique TheFatNurse had with the intructors’ explanation of cholesterol was the lack of separation in explaining the differences between lipoproteins and cholesterol. 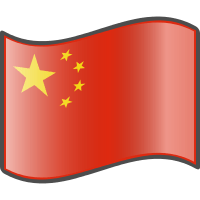 For example, the instructor would mention “LDL cholesterol” and “HDL cholesterol” various times as if these were two different types of cholesterol. Cholesterol is cholesterol and it’s either in an unesterified form or esterified form. When we mention measurements of “HDL-cholesterol” or “LDL-cholesterol” we are hoping that the cholesterol we find on these lipoproteins tells us how many lipoproteins there are. This confusing language was mentioned in Frederickson, Levy and Lee’s landmark 5-part series on lipids in The New England Journal of Medicine  back in the 60’s. Even then, Fredrickson, Levy and Lees pointed out that it may be more appropriate to use the terms dyslipoproteinemia and hyperlipoproteinemia rather than dyslipidemia and hyperlipidemia since the focus was on the lipoproteins rather than the lipids themselves. 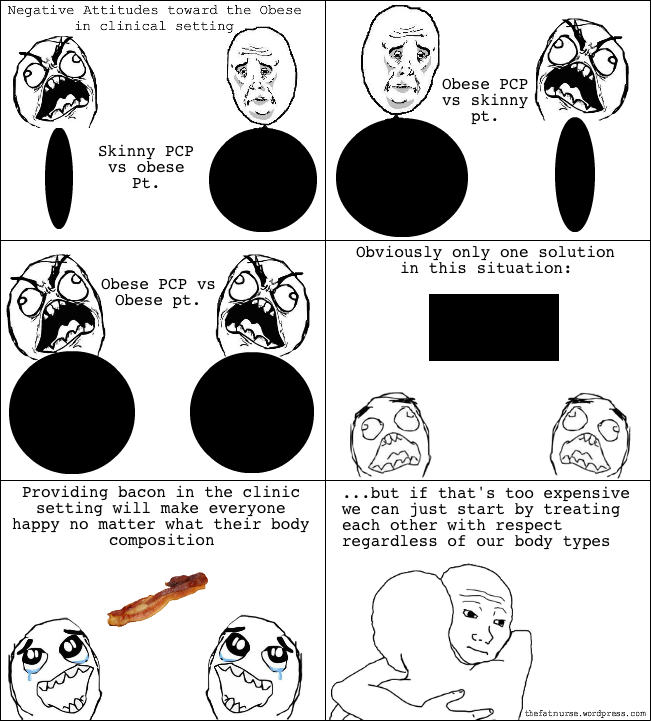 The lack of using this terminology in today’s world can be attributed to much of the confusion about cholesterol and lipoproteins in general (If there is still some confusion, there’s some pictures that provide an analogy of cholesterol vs the lipoproteins further down this post as well as more clarification in the cholesterol comics posted earlier). The instructor then informed the class that we could get these measurements through a fasting lipid panel to evaluate the total cholesterol and LDL cholesterol which would inform us of our risk and give us a target to shoot for. 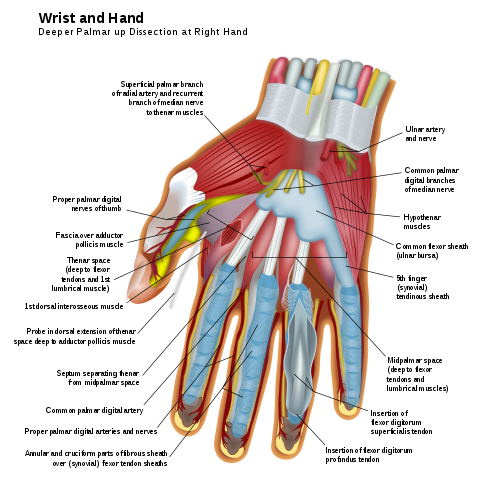 This created a transition to introduce the ATP-III guidelines  for us. However, at this point TheFatNurse put up a raised hand to point out the importance of how elevated triglycerides can effect the estimation of LDL-cholesterol (calculated by the Friedewald equation). The ATP-III guidelines are old and definitely has problems, but what was disturbing was the lack of any mention on looking at non-HDL cholesterol which is actually mentioned in the guidelines! in atherogenic VLDL remnants, which can be estimated clinically by measuring VLDL cholesterol. In persons with high triglycerides, the combination of LDL cholesterol + VLDL cholesterol (non-HDL cholesterol) represents atherogenic cholesterol. Non-HDL cholesterol thus represents a secondary target of therapy (after LDL cholesterol) when triglycerides are elevated. There was honestly a lot more out there so TheFatNurse thought it was a little disturbing that the only lipid parameter that was covered was Total Cholesterol and LDL-Cholesterol, especially since Non-HDL (unlike Apo-B, LDL-particle count or Lipoprotein sizes) does not require advance lipid testing and is readily available with some simple math on a basic lipid panel. “…results add further support to the notion that the TG/HDL-C ratio may be a clinically simple and useful indicator for hyperinsulinemia among nondiabetic adults regardless of race/ethnicity.”  *of note, there is some research suggesting that the TG/HDL marker may not be as good of a predictive marker for insulin resistance for African-American women in other studies. Triglycerides on average were borderline high in this group (although the standard deviation was pretty wide). 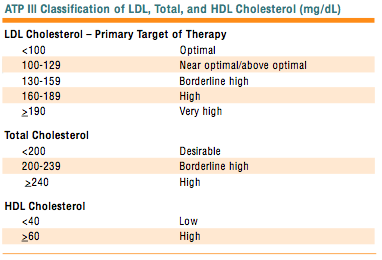 So while LDL-Cholesterol, “the primary target of therapy,” was pretty good, perhaps just as much emphasis should be placed on HDL cholesterol and Triglycerides or even the evaluations of other lipid parameters such as the Non-HDL cholesterol and TG/HDL ratio we discussed earlier. In order to get that 16 oz measurement, the lab needed to break apart the lipoproteins that were carrying the cholesterol in the first place. 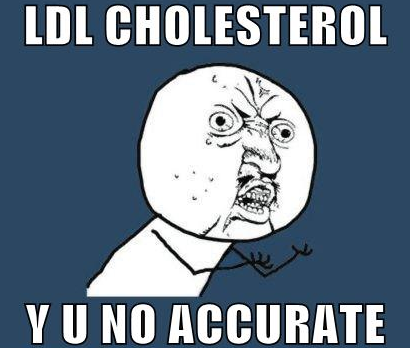 Usually the amount of cholesterol can correlate with the number of lipoproteins…but not always. For example, was this 16 oz of cholesterol carried in lipoproteins the size of shot glasses? Or was it carried in the form of rock glasses? As you can see it’s impossible to really know the characteristics of the lipoproteins based off just the cholesterol itself! 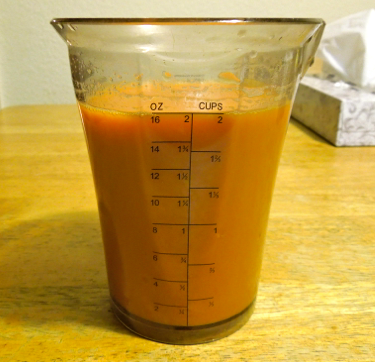 In the first example, the 16 oz of cholesterol was carried in 6 small shot glasses/lipoproteins. In the second example, the 16 oz of cholesterol was carried in 2 larger rock glasses/lipoproteins. The first example is more atherogenic while the second one is less. You can see two different characteristics emerge at this point: size and number. Whether it’s the size or the total number of lipoproteins that is more atherogenic is hotly debated, but either characteristic is a much better predictor of risk than just looking at just the cholesterol itself. In many people LDL-cholesterol correlates (what is known as concordance) well with the number of LDL particles but not always. When LDL-cholesterol doesn’t correlate well, it’s said to be discordant. 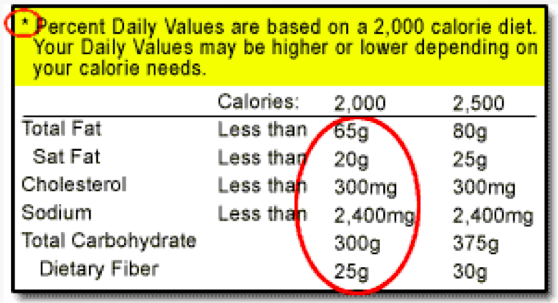 For individuals who are not at LDL cholesterol goal, the instructor recommended that cholesterol should be limited to <200 mg/day and total saturated fat reduced to less than 7% of daily caloric intake. However,despite the instructor’s recommendations, there has been some debate on whether the guidelines on dietary cholesterol are that effective or even necessary. Without going into too much detail (save that for a future post), people who are hyperabsorbers may end up absorbing phytosterols into the plasma where some evidence is showing that they can be atherogenic if not more so than cholesterols in the artery wall. After all, there is a disease called phytosterolemia (also known as sitosterolemia)  that causes individuals to die at an early age from heart disease due to elevated absortion of these phytosterols. Remember, atherosclerosis occurs when a sterol is deposited into the arteries to elicit an inflammatory response; this can be a cholesterol or a phytosterol. Most people don’t have to worry about this tho and this point on phytosterols was only mentioned to show that there are other sterols out there than just cholesterol which can impact atherosclerosis. As expected, there was no mention of hyper absorbers in the class which is fair since this is newer emerging data. There are other interesting individual studies challenging the notion of saturated fat and heart disease, but instead of continuing the onslaught of posting studies, it may be more interesting to go over the mechanisms of dietary fat. After all, it seems like it would be common sense that ingestion of saturated fats would lead to more fats in the blood stream right? However, this does not happen and.its more likely one would find increased levels of lipids, in particular, triglycerides in your blood stream with the consumption of carbohydrate. You can see in one of the meta-analysis above from Hu et al 2012 that low carb diets often yielded less total cholesterol, less LDL-cholesterol, more HDL-cholesterol and less triglycerides. How can this be? 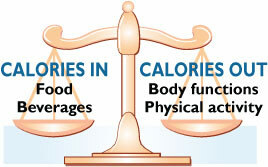 The best way to view this is to break apart from the conventional “a calorie is a calorie.” While a calorie is a calorie is true by its definition to raise the temperature of 1 gram of water through 1 °C, this view often leads to people not realizing that calories from different sources have different effects hormonally and on the body’s regulatory system. Carbohydrates, for example, stimulate insulin secretion and effects the availability of energy sources such as free fatty acids. While the metabolic processes of dietary fat can be complex, the basic concepts can be broken down into a few key ideas. The main idea, as mentioned before, is to stop viewing, “a calorie is a calorie.” A calorie from fat, protein or carbohydrate can exert different hormonal and therefore regulatory effects on the body independent of its energy content. An even simpler example of this process is how dietary carbohydrates lead to a rise in insulin. Unfortunately, most of the focus on insulin is in its ability to bring blood sugar down in the body. This shouldn’t be surprising since regulation of blood sugar is such a huge treatment plan of healthcare today. When the regulatory process of insulin and blood sugar is disrupted, say for example in the development of T2 Diabetics, issues such as hyperglycemia (high blood sugar) can occur which can eventually lead to insulin resistance and the development of the metabolic syndrome which is increased triglycerides, decreased HDL, elevated blood pressure, increased abdominal girth and impaired fasting blood sugar. How can it be that carbohydrates have the potential to impact all these 5 factors? Since this post is about lipids, we’ll limit the discussion to mostly increased triglycerides, low HDL and impaired fasting glucose (which indirectly impacts lipids and lipoproteins) for now and explore the other two elements in a latter post. Since carbohydrates (especially in the form of sugar) can have an effect on blood sugar, one of the recommended advice that we’re given is to exercise more. Indeed, one of the ways exercise helps to bring down blood sugar is the generation of what are called GLUT-4 receptors in the muscles and fat tissue of the body which allow glucose transport and therefore reducing some of the blood sugar levels in the body. So far we’ve set the stage that increased carbs can increase the blood glucose, increase insulin and therefore increase lipogenesis which increases Triglycerides. Increased triglycerides, as you know, is one of the factors of metabolic syndrome. By contrast, decreasing carbohydrate can have the opposite beneficial effect of lowering Triglyerides. How does it do this? So what about HDL-cholesterol? Why is HDL-cholesterol decreased in Metabolic syndrome? As shown in the previous study, HDL-cholesterol tends to go down when Triglycerides go up. This shouldn’t be surprising since they are both measurements of metabolic syndrome. This is also why the TG/HDL ratio mentioned earlier is also a predictor of insulin resistance. Along with decreasing Triglycerides, decreasing the amount of carbohydrates also raises the HDL cholesterol. This is important to note since policy recommends daily intakes of 30% total fat or less (with less than 10% of the saturated) and 60% carbohydrates. 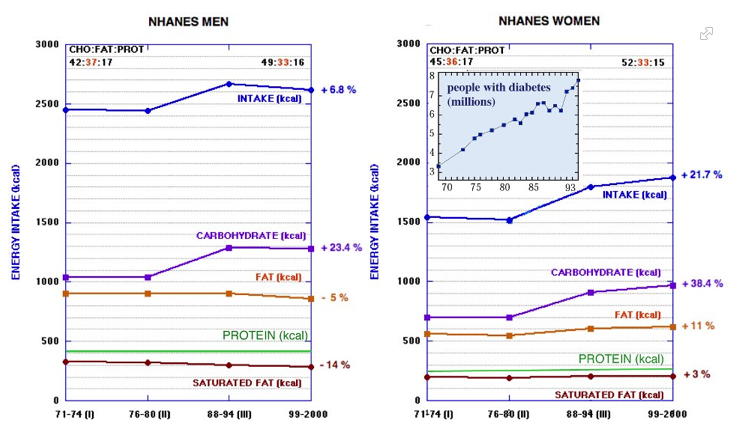 Studies showing the benefits of increased fat consumption and decreased carbohydrate consumption have vastly different ratios than the ones shown here obviously. But why exactly does HDL cholesterol tend to decrease? The answer may lie in the elevated triglycerides. One of the problems about teaching these lipid markers is that they are often portrayed as static entities rather than dynamic entities that interact with one another. In this case, elevated triglycerides can lead to decreased HDL cholesterol through catabolism in the megalin/cubillin processes in the kidney. 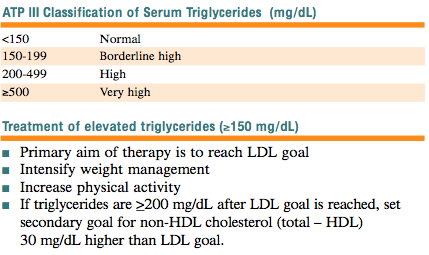 There’s a lot of greater details in that quote I extracted from the study but if you’re interested in learning these details TheFatNurse’s HDL/Triglyceride comic covers most of the details in easy picture analogic fashion. Anyways this post is starting to deviate a bit from it’s original purpose of critiquing the lipid lecture. However, the little side adventure of exploring TGs, HDLs and insulin resistance in more depth was to show that LDL cholesterol is not the only nor always the best indicator for heart disease of which insulin resistance is highly associated with. Unfortunately the class was taught to use LDL-cholesterol as a target goal which means intervention methods focused primarily on lowering LDL-cholesterol (and not necessarily the other markers as much although the instructor did mention targeting HDL and TGs but only briefly compared to LDL cholesterol). However…things then took an unexpected turn! For example, the next slide was titled, “Lack of Evidence for LDL Goal.” Surprisingly, the instuctor pointed out that aiming for LDL cholesterol targets did not always yield reductions in events or mortality. One slide even said that trials which lowered cholesterol did not always improve outcomes! This is not surprising as we have covered, but it is surprising that it is being presented in a formal setting. If you want to look up the population being studied, you’ll have to find the paper and hope the patient population is described. 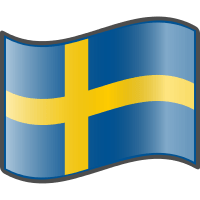 But a good way to save time is to actually go to: http://www.trialresultscenter.org which describes the patient population along with any inclusions and exclusions for the methodology. They also list the end point goals of each trial. 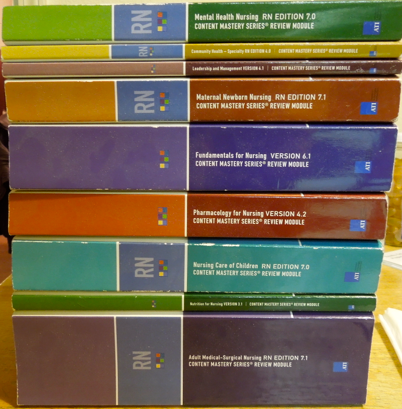 While the instructor did mention some populations, after diving in more details TheFatNurse learned other information about the populations being studied. 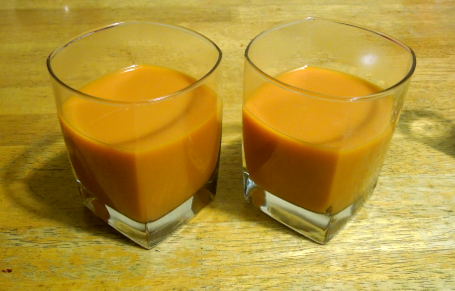 One had patients with end-stage renal disease on hemodialysis, another had adults (aged 40-80 years) with coronary disease, other occlusive arterial disease, or diabetes, one trial only used MI survivors, and another had patients with a history of cardiovascular disease, high triglycerides, and low levels of HDL cholesterol. If TheFatNurse didn’t look up any of this information, none of this demographic information would have been known! This is important because we need to ask ourselves if the results from these high-risk populations are appropriate to extract for a general primary population. Even after showing that LDL cholesterol is not a good target the instructor ended by recommending we still continue to target LDL-cholesterol since it’s still in the guidelines. This rationale was disappointing, as mentioned earlier, since Non-HDL is also a target in the guidelines…yet it was never mentioned by the instructor. Additionally, TheFatNurse was also a little disheartened with the lack of discussion on carbohydrate control on the lipid profile. While the instructor had recommended the reduction of saturated fat and dietary cholesterol in class, TheFatNurse had a private conversation with the instructor between lectures and guess what? 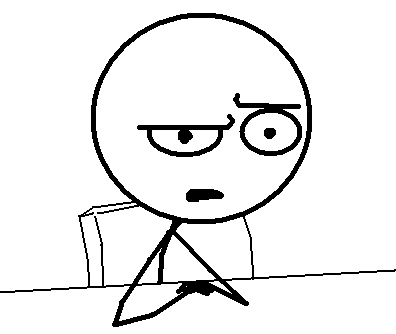 The instructor actually knew all about dietary carbohydrate and it’s effect on triglycerides and HDL-cholesterol. How come he didn’t mention carbohydrate reduction and make a case for eating fat then? In either case, I will give him credit for at least introducing doubt about LDL-cholesterol as the end all be all risk marker. 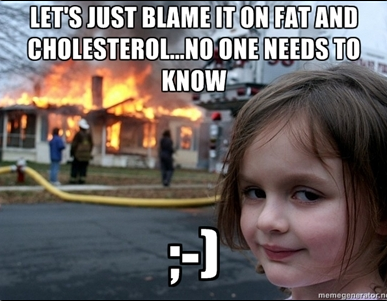 Summary: TheFatNurse finally had the lipid intervention lecture in school. As expected, it focused mainly on targeting LDL cholesterol. Advance lipid testing/targets were not mentioned which is to be expected as well…but the instructor didn’t even mention anything about Non-HDL cholesterol! This was rather disturbing since there was such an emphasis on LDL-cholesterol due to the ATP 3 guidelines…but even ATP 3, for all it’s flaws, mentions using Non-HDL cholesterol! The instructor also mentioned avoiding dietary saturated fat and cholesterol, which was expected and the potential benefits of carbohydrate reduction was not mentioned at all. However, the class then took a 180 with the instructor showing some studies that targeting LDL-cholesterol may not always yield the outcomes we want! TheFatNurse has to give props to the instructor for that…but then another 180 happened with the instructor saying we should still focus on reducing LDL cholesterol since it’s in the guidelines. Some studies were then shown to the class on the support of pharamaceutical intervention. However, the instructor didn’t make it clear what the study populations were for some of the trials. This could lead to confusion in not knowing whether the results of trials were applicable to primary or secondary prevention groups. 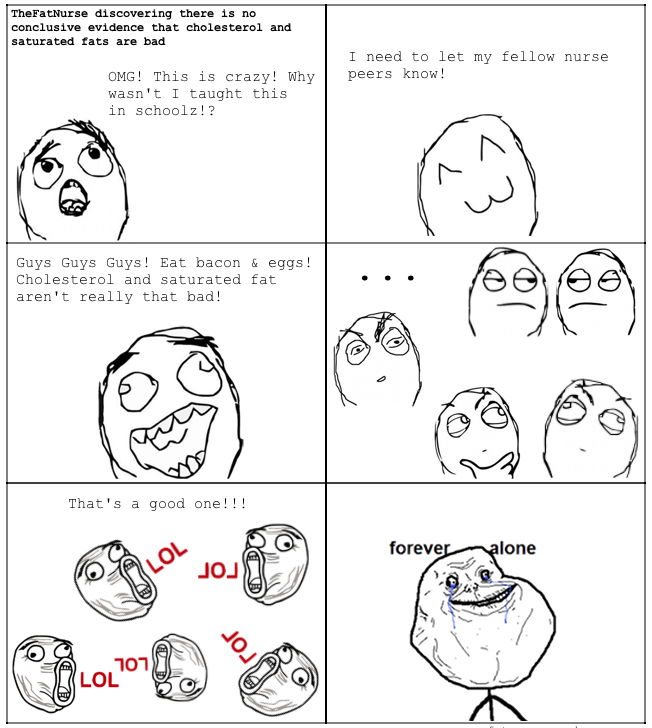 In the end, TheFatNurse was happy to at least see, even if brief, LDL-cholesterol being doubted formally in a classroom setting. * The Cochrane group does recommend the replacement of saturated fat for unsaturated fat due to a reduction of 14% in cardiovascular events with the replacement of saturated fats with unsaturated fats, but this effect was only seen in studies of men (not those of women) lasting longer than two years and with populations that had cardiovascular risk to begin with and not the general population. They point out the effect on heart attacks and strokes individually were not clear.